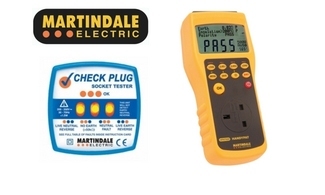 Martindale Electric manufacture a complete range of electrical test equipment for use by electrical contractors, control panel builders and maintenance technicians. 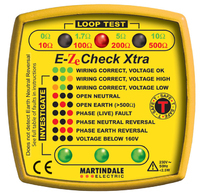 The Martindale Electric brand is renowned for reliability, quality and accuracy in measurements and readings, ensuring your safety at all times. 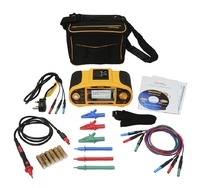 Demesne Electrical stockists of marcm51 Shop online taday! 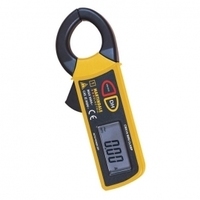 Demesne Electrical stockists of Martindale AC/DC Clampmeters, electrical safety equipment, electrical testing products. Express Delivery - Order Here Today! 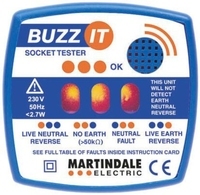 Demesne Electrical stockists of Martindale BZ101 Socket Tester c/w Buzzer - Complete range of Electrical testing Equipment - In Stock - Express Delivery - Order Here Today! Demesne Electrical stockists of marcp501 Shop online today! Demesne Electrical stockists of maret4000 Shop online today! Demesne Electrical stockists of maret4500 Shop online today! Demesne Electrical stockists of maret4 Shop online today! Demesne Electrical stockists of maret5 Shop online today! 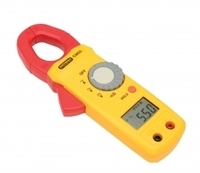 Demesne Electrical stockists of marfd550 Shop online today! 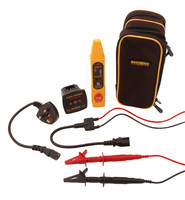 Demesne Electrical stockists of marfd650 Shop online today! 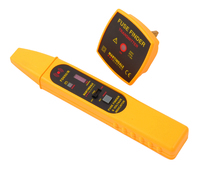 Demesne Electrical stockists of marfl30 Shop online today! 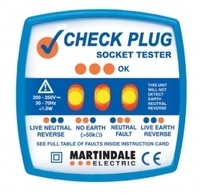 Demesne Electrical stockists of marhpat600 Shop online today! Demesne Electrical stockists of marmm39 Shop online taday! 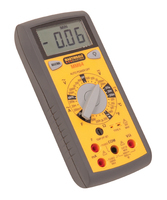 Demesne Electrical stockists of marmm64 Shop online today!